“Chip and I love to travel, and we've been blessed with the opportunity to do a lot of that together. We've been to several cities throughout China and Tibet, and just because of dumb luck or karma, we met and then visited the homes of many of China's best artists. The artists we met were all enthusiastic about the idea of trying to share their work and ideas with the US, so we formed Landmark Art & Cultural Exchange Company to try to share some of the arts we encountered in our travels abroad with our friends here at home in the US. These were all internationally recognized and collected artists, but none of them had sales in the US. Mr. Zhao, for example, has had a strong demand and collection base in Europe, but he had his first US sale through the LMG Transposition show. Yu Xue Min, Leihong Peng, and Gao Xiao Fei all have collectors throughout Asia and China but their art will also hang in American collections for the first time, thanks to the cooperation of a lot of good people and a lot of good fortune for everyone involved. The show was magic. We thank Lee Matney and the LMG, and also so many friends and even people who we never knew before, who just rallied to help and participate to help us put on our vision with this show, even before it all came into focus. 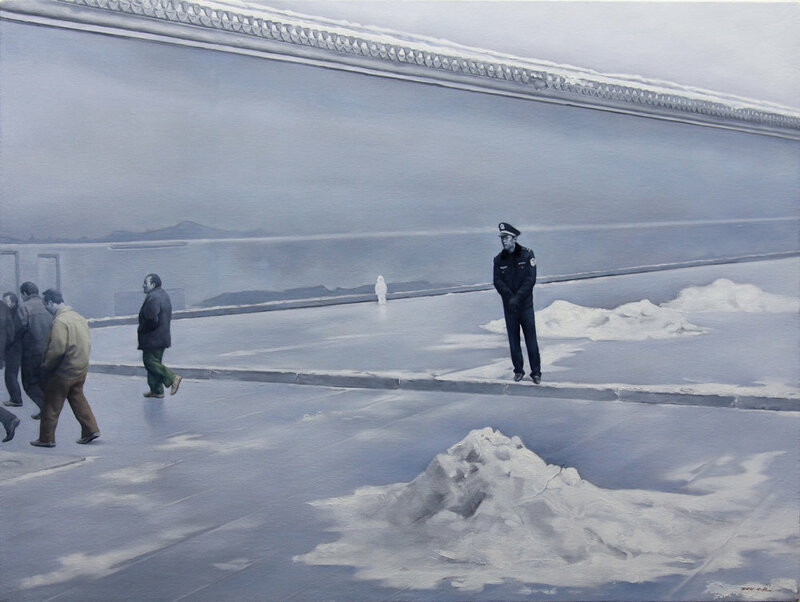 As it developed, 6 Chinese artists shipped their work to show, and 3 of these artists visited. All three of the visiting artists had sales in this show. In retrospect and closing, it is no wonder that we had sales at the show. The art was exceptional, but the media attention and public interest were both lavish and unanticipated. We knew there would be interest, but we never dreamed there would be this kind of interest and support for our guests and their work. There was media interest even before the show dates were scheduled. Oyster Pointer magazine, Health Journal, Daily Press, Veer magazine and WYdaily interviewed me for featured articles. Williamsburg Radio Station interviewed Lee Matney and me 3 times, lives on the radio, once with one of our artists, and once with one of our sponsors. 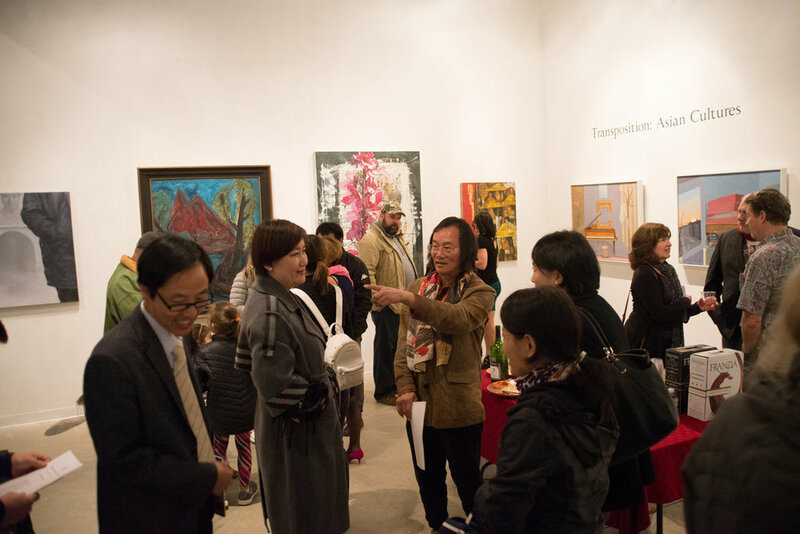 By coincidence or design, we were able to coordinate the LMG shows with the Peninsula Fine Arts Commission's 2018 Asian Art Expo, so we were able to partner with them in showing and promoting our artists. PFAC was able to include a few of our artists' works in their show, and then all the rest of the art was shown at the LMG. We coordinated fund raisers for the Arts Commission with our Transposition openings, and received thousands of dollars from 13 local business sponsors to support this important art event in Newport News. A bound collector's catalogue was published with biographies of the artists and some discussion of their artwork. This was through the grace and generous support of sponsors and friends who came forward without even being asked with large money donations, just to help benefit a project Chip and I were excited about. We are blessed with good friends. The sales were a surprise for us, but not for Lee Matney or our artists. Lee recognized early on that he had a winner with this show when his website hits tripled, then tripled again, and then again, over just a few days of announcing the Transposition Exposition. He had some big sales with this show. Some American collectors got a big premium buying at this show, because some of the artists were motivated for various reasons to sell at lower than their ordinary prices. One of our artists is a member of a Chinese minority group, and as such, his art sells at a premium price in China. Because the American collector would not usually appreciate this discrete Chinese cultural nuance, this artist agreed to sell for thousands of dollars less than his usual prices. He sold both of the works he sent us for this show. The visiting artists were charming, endearing, and memorable. 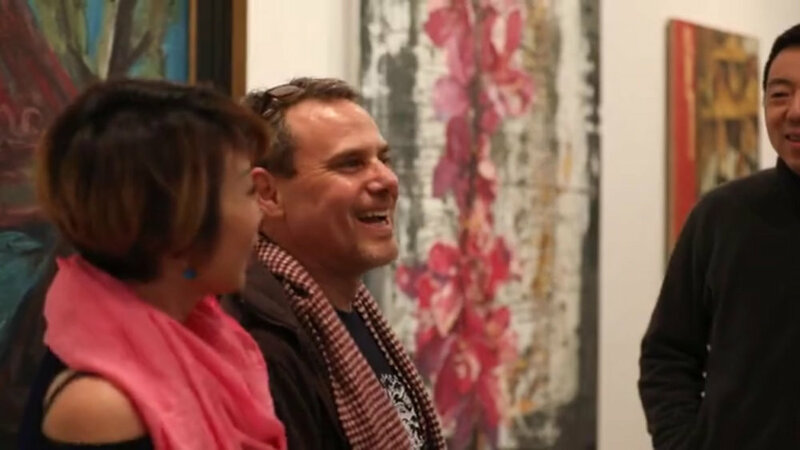 Life long connections and friendships formed between the artists with dealers, art collectors, and with other artists. When we confirmed there were artists coming from China, we asked some of our favorite local artists to also participate in the show. One of those was local master, James Warwick Jones, who is also Director of the Charles Taylor Art Center in Hampton, Va. Christi Harris, Dean of the Art School of Christopher Newport University. Another was Norfolk's beloved Maggie Wilson. After some anguish over stretchers, Maggie finally entered 4 paintings in the show. She feels like she hit the jackpot. She made new friends in Williamsburg and in China, and she expects to be visiting both soon. 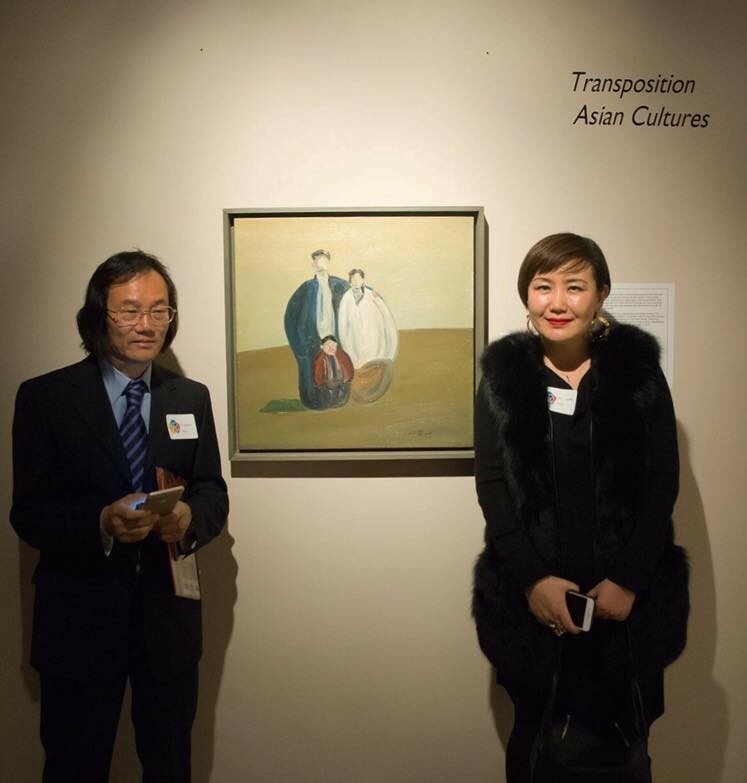 She accepted an invitation to show at Transposition 2019 Reunion Show in Beijing's exclusive 798 Art District, where our Chinese artists are already planning to welcome her and our other local artists, who are also planning to make this trip with us in 2019. Some of our American artists for the 2019 trip are not classically trained. They are more in the nature of folk artists, and the Chinese are particularly interested in this art form. They love the honest and free expression of American folk artists. They promise an enthusiastic welcome, delicious food, and great memories for the 2019 Beijing Transposition show.